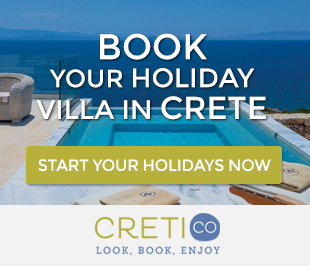 Crete is a cosmopolitan island preferred by a huge number of travelers every year from all over the world. However, it still retains the elements which compose its cultural tradition. The Cretan festivals, feasts and celebrations on the island, traditional or not, do not stop over time, but find their peak during the summer. 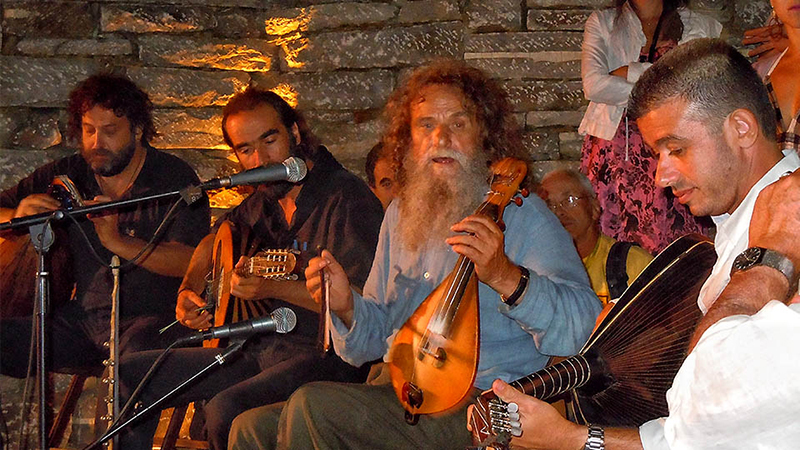 The summer Cretan festivals are covering the entire spectrum of arts and usually last days or weeks. In this category are included the “Kyrveia “(Municipality of Ierapetra), the “Kornaria” (Municipality of Sitia), the Summer Festival of the Municipality of Heraklion and the Renaissance Festival of Rethymno (Municipality Rethymnon). Many villages of Crete work cultural associations or individually organize Cretan festivals and traditional feasts on the occasion of religious celebrations or historical anniversaries. Also several of these traditional events are based on local products. This is how locals honor Cretan land for its gifts. Every summer the traditional Cretan festivals and feasts attract not only locals, but also foreigners who want to meet genuine Crete. 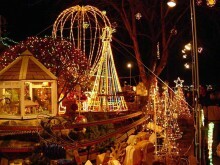 The Cretan festivals, usually associated with the celebration of a Saint, take place in the village square. You will have the chance to enjoy dancing to the sounds of the lyre and the lute and of course, several local dishes and plenty of wine. The summer Cretan festivals, once, were important stages in the cycle of the year. People used to make a break from their jobs and interrupted, for a while, the monotonous rhythm of life. They gathered inside and outside the churches and the, walked in the village, in small processions. At the end of the day, they gathered in the square of the village, around a lyre player. They were dancing and enjoying wine, raki, and the the appetizers of each summer celebration. Rethymno Renaissance Festival: the locals of Rethymno honor their Renaissance tradition by organizing the last 25 years the inspired Renaissance Festival. 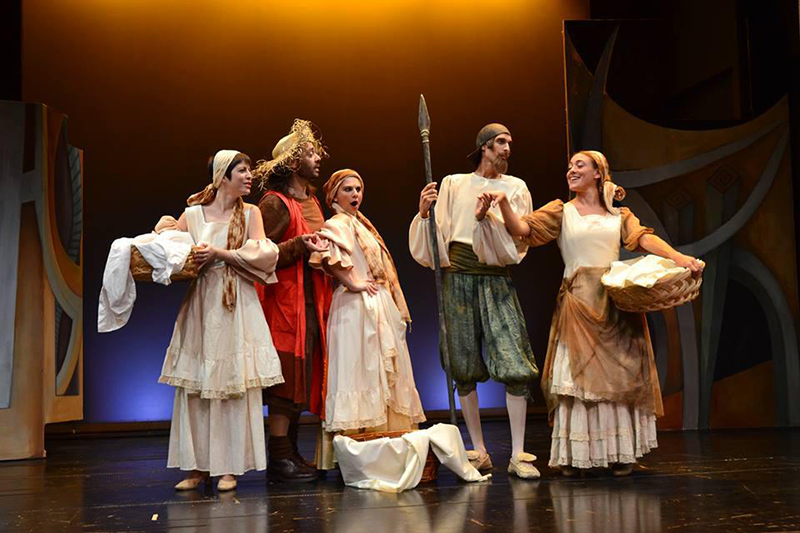 Each August, during the Renaissance Festival are organized music concerts, art exhibitions, theatrical performances from Cretan and European Renaissance, children’s events and other happenings. The festival is hosted in Fortezza in Venetian churches, mosques, streets and city squares. “Yakintheia”: The three-day cultural events taking place each year during July, in Anogia. The events are dedicated to St. Hyacinth, the Cretan “Saint of love” and are performed in a space which has been specially configured for this purpose in Psiloritis, just after Anogia, at an altitude of 1.200 m. There has been erected a temple dedicated to St Hyacinth. 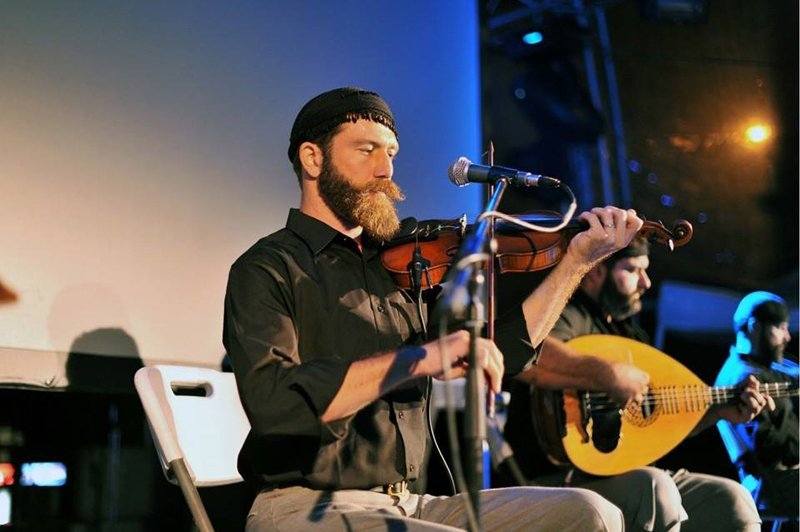 Every year “Yakintheia” have different thematic and usually combine Cretan music, Cretan folk tradition and musical traditions from other parts of Greece or the Mediterranean. At the same time, traditional cheese-making methods are presented, and guests can taste raki and other traditional Cretan products. 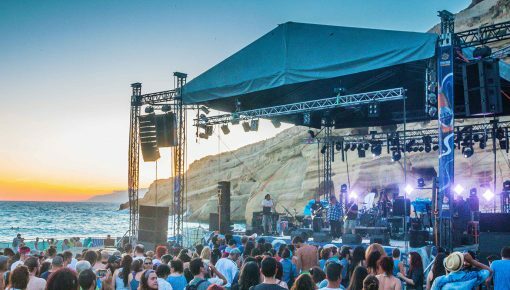 “Heraklion- Summer Festival “: In recent years the city of Heraklion has created an important tradition expressed through the Festival “Heraklion – Summer”. The program includes theater, music, dance and visual arts events with the participation of important Greek and foreign artists. It also includes several events by local artistic groups and associations. 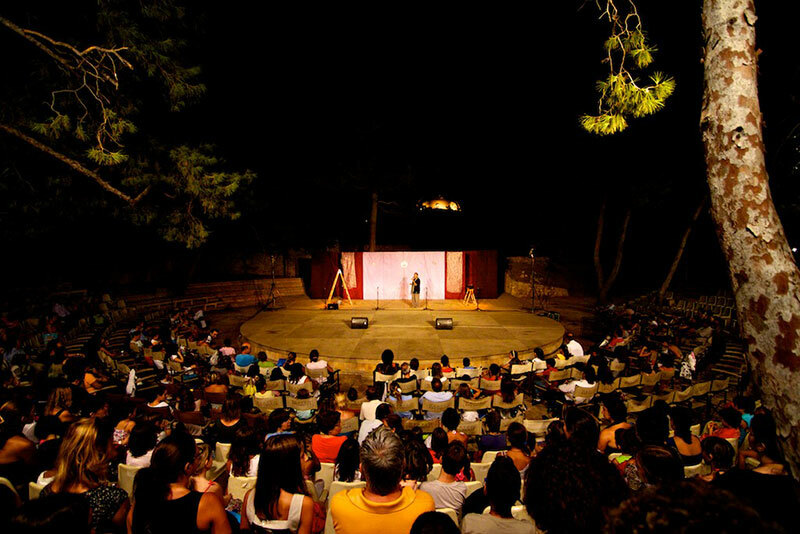 The festival events take place primarily in the garden theater “Nikos Kazantzakis” and “Manos Hatzidakis”, located in the moat of the Venetian walls. 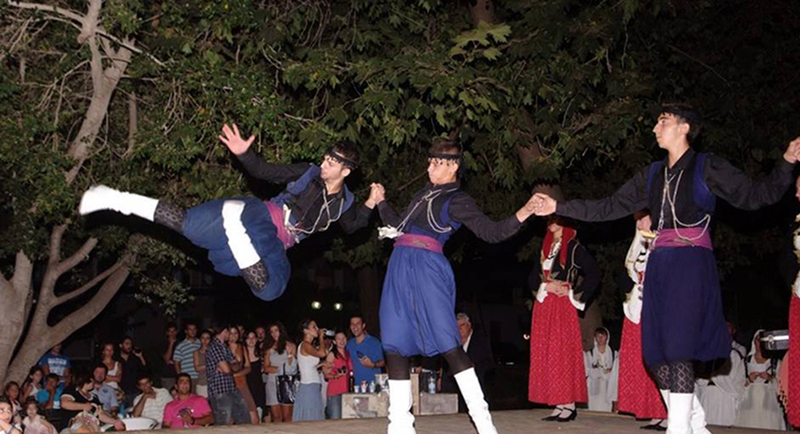 “Kyrveia”: The ‘Kyrveia’ cultural events take place in Ierapetra, Lasithi. Music, dance, theater, painting and photography exhibitions are presented. 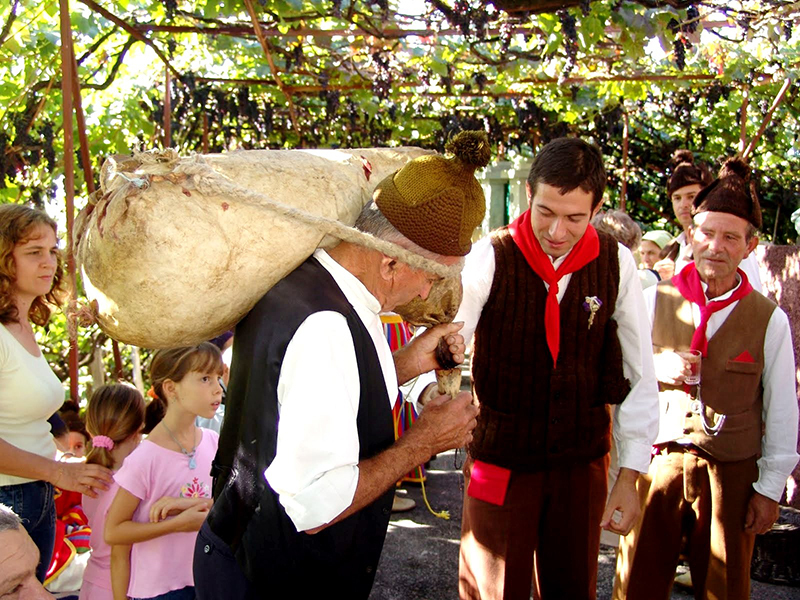 “Kornaria”: The ‘Kornaria’ are cultural events organized by the municipality of Sitia. Feast of the Holly Trinity (1 June 2015): the Feast of the Holly Trinity takes place in the four prefectures of Crete. Feast of St. Theodore (8 June 2015): the Feast of St. Theodore in Thodorou island in Agia Marina, Chania. Feast of St. John the Klidona (24 June 2015): the Feast of St. John the Klidona is the most popular all over Crete in the beginning of summer. Feast of the Holy Apostles (29 June 2015): the Feast of the Holy Apostles is celebrated in each side of Crete. Apricot Festival: Apricot Festival takes place every year in June in Ahlades, Rethymno. Feast of St. Anargyroi (1 July 2015): the Feast of St. Anargyroi takes place in Lasithi Plateau. Feast of Santa Marina (17 July 2015): the Feast of Santa Marina is celebrated in Agia Marina, Chania and Agia Pelagia, Heraklion. Feast of the Prophet Elijah (20 July 2015): the Feast of Prophet Elijah takes place in Sougia, Chania. Families go there overnight bringing food with them and stay there until morning. Feast of Agia Paraskevi (26 July 2015): the Feast of Agia Paraskevi is celebrated in Kalyves, Chania, and Archea Eleftherna, Rethymno. Feast of Agios Panteleimon (27 July 2015): this Feast takes place in the village Fourne, Chania, in Adele and Chromomonastiri of Rethymno, in Arhanes, Heraklion, Kalo Chorio and Ierapetra of Lasithi. Feast of Agios Sillas (30 July 2015): the Feast of Agios Silas is celebrated in Kalo Chorio, Lasithi. Wine Festival: the Wine Festival is celebrated on the end of July in Perama, Rethymno. Cultural Events (15 July-15 Aug): Cultural events in Tylissos, Heraklion, including theatrical performances, Cretan nights, sporting events. Agricultural August: Cultural events organized by the municipality of Chania, with concerts, musical evenings, painting and photography exhibitions. Feast of the Redeemer (6 Aug 2015): the Feast of the Redeemer is celebrated in Giorhioupolis, Chania. Feast of St. Myron (8 Aug 2015): the Feast takes place in Agios Myron, Heraklion. Feast of St. Akinitos (12 Aug 2015): this Feast takes place in Platanos village, Falassarna. Feast of Our Lady (15 Aug 2015): it is maybe the most important Feast and it is celebrated in several areas all over the island. Feast of St. Titos (25 Aug 2015): it is one of the biggest feasts in Heraklion. 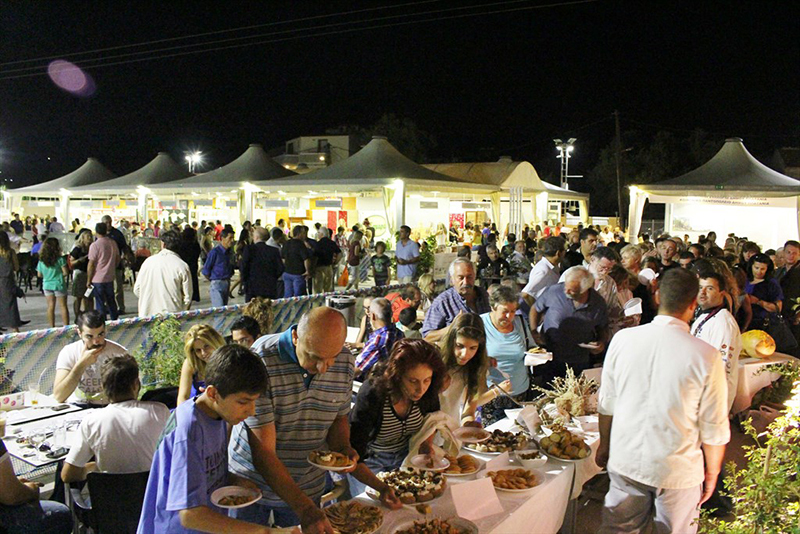 Feast of St. John (29 Aug 2015): it takes place in Giorgioupoli and Kolympari, Chania. The church of St. John in Kolympari is in a steep ravine. The ceremony is performed the night before. The descent is done just before night falls and the return is just at the beginning of the dawn. Feast of St. Alexandre (30 Aug 2015): Feast of St. Alexandre is celebrated in Lasithi Plateau. 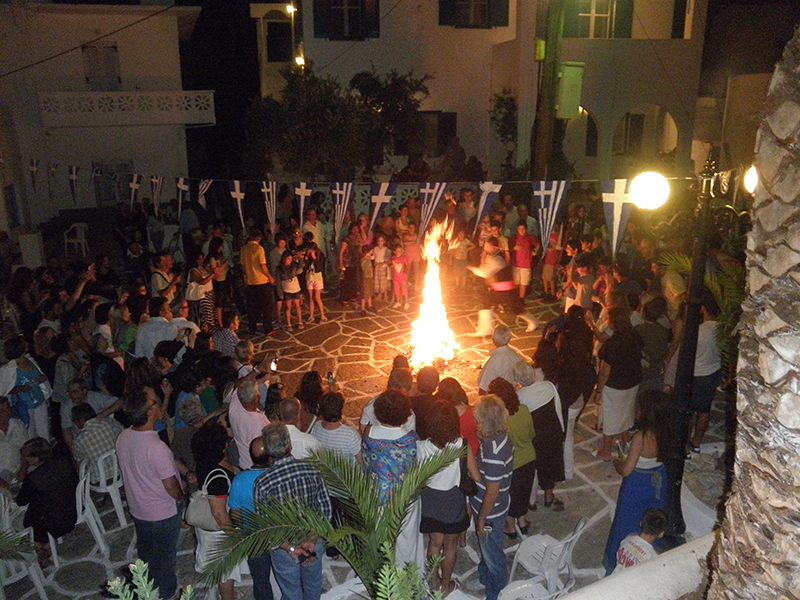 Feast of Agia Zoni (31 Aug 2015): Agia Zoni is celebrated in Lasithi Plateu. “Vamos” Events: In early August, you will have the chance to enjoy events in Vamos. World popular artists take part in these events. There are also organized folk artists exhibitions, traditional handicraft items and folklore. Wine Festival: in early August, the locals celebrate with plenty of wine in Kasteli, Kissamos in Chania. Raisins Festival: at the end of August is the feast of raisins. Citrus Festival: In Garado, Rethymno, is organized the celebration of citrus, with cultural events. Grape Festival of Arhanes: Celebration of the Arhanes Grape. Sultanas Festival: Celebration of sultanas in Sitia, Lasithi. Anniversary of the Battle of Crete: the Feast of the Anniversary of the Battle of Crete is celebrated in Maleme, Chania. Cultural Events: three-day cultural events in Viannos, Heraklion, presenting concerts, theater, exhibitions. 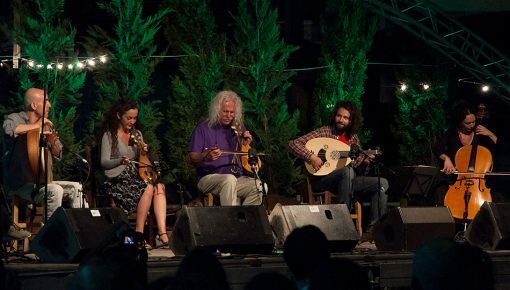 Cultural Events: in Timpaki, Heraklion, the municipality organizes cultural events with music, dance, theater, lectures, screenings, special seafood nights. The festivities culminate on the last day, which is the feast of St. Titus. Cretan festivals and traditional feasts, Cretan music and the rich artistic production in traditional sectors of creation link the modern Cretans with the past and tradition, tradition which remains alive and constantly evolving. Thus, in major cities of the island you can get a taste of cosmopolitanism and contemporary artistic creation while in the villages you will be able to experience a Cretan feast, under the sounds of traditional Cretan music, with dancing and local Cretan food. Posted on 24 Jun 2015 in Cretan Culture and tagged Cretan Music, Feasts In Crete, Matala Beach.